It’s True, Toys CAN be “Dark”— No one said all toys should be Teddy Ruxpin or a Cabbage Patch kid. The 12-inch figures starring in “Welcome to Marwen” promise to tell a decidedly ADULT story, as good battles evil for control of a imaginary town in WWII Belgium. 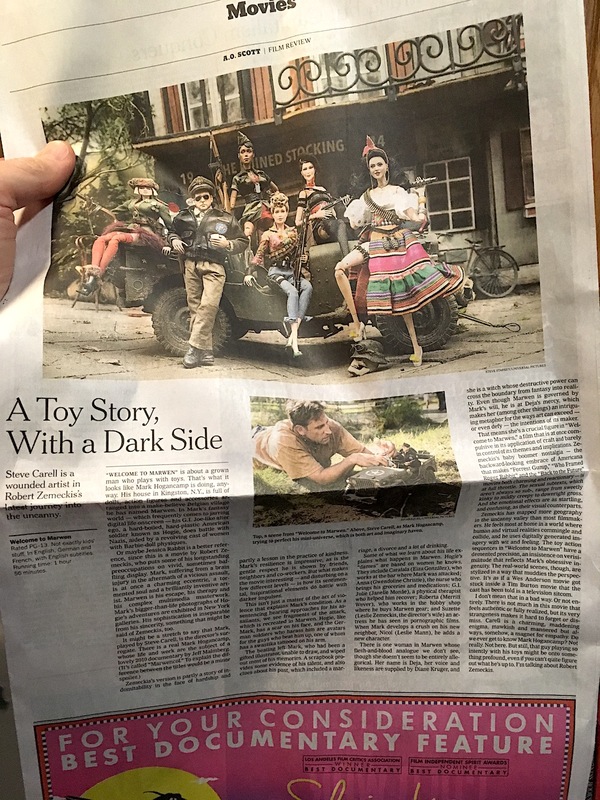 Here is today’s review in the New York Times. (Photo: Mark Otnes) Click to enlarge.